By Carrie Smith · Filed Under: Spending Wisely · January 10, 2018 · · Part-Time Money is supported by you. When you sign-up for services or buy something through links below, we may earn an affiliate commission. Learn more about how we make money. The fine fellas at Optimal Finance Daily created an audio version of this post. Listen along using the player below. When you’re part of big family like I am, it’s hard not to come under peer pressure to spend a lot of money on gifts. As one of five kids — all who have families and kids of their own — buying gifts for every holiday and birthday get really expensive. And with the never-ending feeling of having to make each gift bigger and better than the last one, along with the pressure from the media to buy more, it’s a constant battle to stay out of debt when buying gifts. At one point, Christmas with my family cost us thousands of dollars! Crazy right?! Thankfully, I’ve learned to be more resourceful with my money while still managing to give thoughtful gifts. Here are my best tips for giving memorable gifts without going into debt or blowing your budget. Don’t underestimate the power of giving practical gifts. I know that most of us think giving practical gifts instead of vanity gifts will be frowned upon, but that’s not the case. Think about it from a personal perspective — if you really needed an item replaced because it broke or got lost, wouldn’t you love it if someone gave you a new one? I know I would! The same goes for buying your friends and family practical gifts. They will be just as thankful — if not more so — for something they can really use, versus another item that will just clutter up their space. Just like with giving practical gifts, another awesome way to have a memorable impact without spending a lot of money, is to give of your time. Most of us are so busy these days that we welcome any and all extra help. Volunteer your time to help someone do yard work, babysit their kids so they can go out on a date, take time off work (and away from your phone) to interact with your family. Look for ways where you can spend your time instead of money. One of my favorite things about using sites like Groupon.com or Living Social, is that they offer such amazing deals I can usually afford to buy two coupons and pass one along as a gift. For example, there was a spa deal in my city for 50% off the normal price, which meant I could buy one for myself and one for my sister, who had a birthday coming up. When I presented her with the gift certificate I told her we’d be going together, a girl’s day out. It was an inexpensive way to share an experience with someone I love, while giving a gift that she really enjoyed. And like I mentioned, giving of yourself and your time will always have a bigger impact than the gift itself. Charging purchases on credit, versus paying with cash, costs a lot more money in the long run. Even if you have good intentions to pay off your balance, sometimes the interest charges and late fees can sneak up on you. So it’s best to avoid the whole thing and be smarter with your hard-earned money. And when you’re spending smarter, it means you have the chance to give more now — and in the future — because you’re stretching your money further. You’ll have more money in your budget for gifts instead of having to pay fees and interest charges. Everyone enjoys getting gifts that make their lives easier. 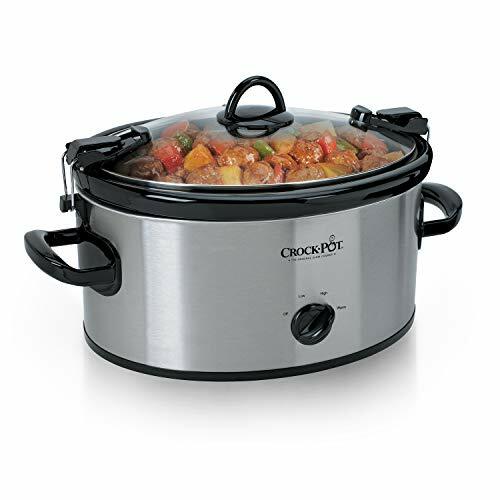 Consider buying your multi-tasking friend a crockpot If you click this link and make a purchase, we earn a commission at no additional cost to you. , your career focused sister a pocket calendar If you click this link and make a purchase, we earn a commission at no additional cost to you. , or your fashion-obsessed friend a subscription to a style magazine. For those financial geeks in your life, you can always buy them a business book or share a resource that will help satisfy their financial appetite. These are items that encourage healthier living, that cater to their specific needs, and save them time and money. It’s a win-win! Don’t forget about the old-fashioned hugs and kisses, no one ever gets tired of those! Whether it’s a gift for a birthday, Valentine’s Day, or another holiday, doing something that’s a little unexpected is never a bad idea — and often times doesn’t cost more than $5 or $10. 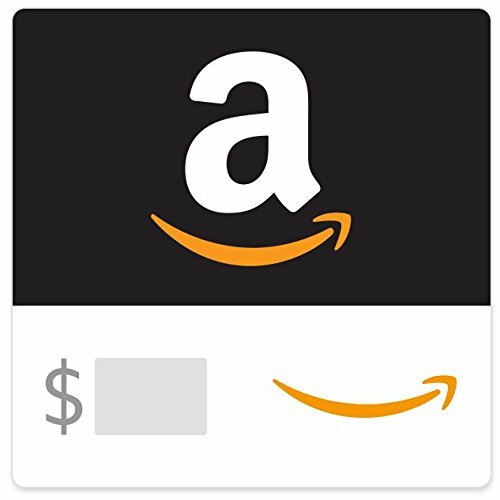 Sending someone a $10 gift card to Amazon If you click this link and make a purchase, we earn a commission at no additional cost to you. or a $5 Starbucks card is a small but powerful gesture. Especially if they aren’t expecting to get anything — which is the case for most of us adults who don’t care to dwell on how old we’re getting! To ensure money isn’t spent in an inappropriate way, American’s are encouraged to donate their time instead of cash. Even something simple like a digital e-card can brighten your loved one’s day, put a smile on their face, and serve as a reminder that you’re thinking of them. And in case they’re having a stressful or difficult day, your unexpected gift could be just the thing they need to get through the day. Remember it’s not about the gift, it’s the act of giving, devoting your time and letting the person know how much you care about them that matters the most. Your true friends would never want to get a gift if they knew it put stress on you and your family financially — they would much rather have access to you, than get more stuff. What’s another way to give thoughtful gifts without going into debt? MoneyNing Thank you for sharing! @Experian_US @ptmoney Thanks for sharing! Great post, Carrie! Though I see your point about avoiding credit card debt, I’ve used credit card rewards to redeem gift cards that I then re-gift. I think it’s a practical way to give gifts without spending more money. I’m also a big fan of greeting cards but refuse to pay $5 for them — instead, I get mine from the dollar store for $0.50. The recipient never knows the difference (though I may shamelessly promote the fact that I saved $4.50 on the sentiment!). @HassleFreeSaver That’s a really smart idea Kendal. There’s a lot of nice things you can buy at the dollar store to save money!